Last Sunday we combined with the other ward to have YW New Beginnings, which is welcoming in the girls who are turning 12 this year into the Young Women program at church. 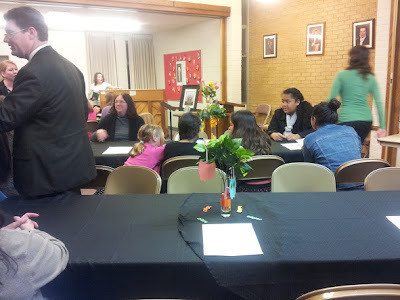 Our ward had 1 new girl coming in (not til the fall I think) and the other ward had about 3 new girls joining their YW group. 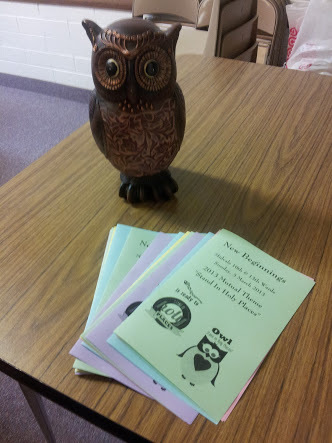 Theme was owls and "Stand in Holy Places" so since I have a lot of owl stuff I volunteered to bring some of it to decorate the room. This is a picture of the owls before they were really finished. The Cricut machine cut these out in 2 parts. There was a back layer of a solid owl, then a top layer of the owl design. It was pretty easy to just glue these together. I used a gluestick and the cardstock stuck to each other very well. 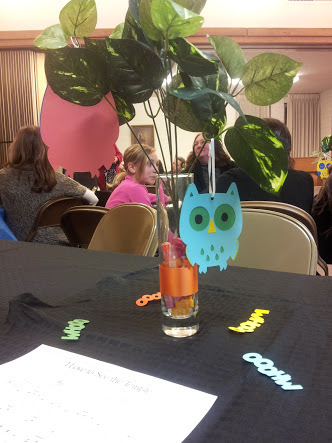 I used my Cricut Mini machine to cut out the whoo that we scattered on the tables and also the owls that we hung in the "trees". Some of the refreshments...drinks on one end of the table , there were cookies that were set out and the YW President, Andrea, made really yummy brownies. 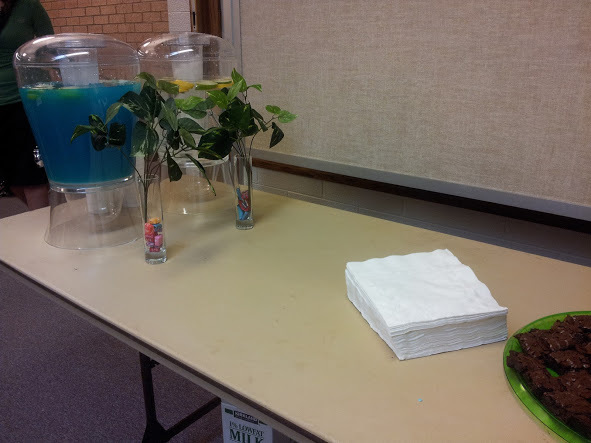 I got a small taste of one when they were almost gone. 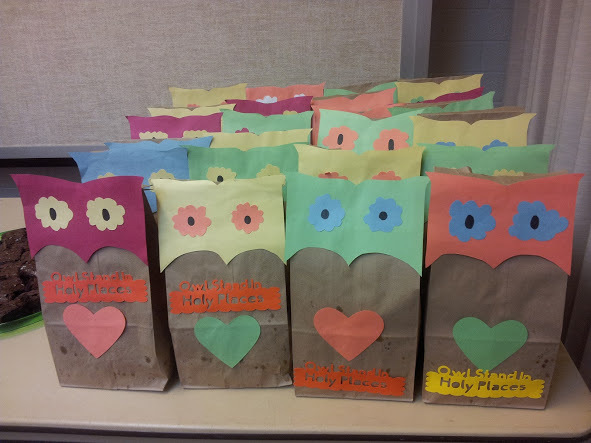 The owl bags all put together with popcorn in them! 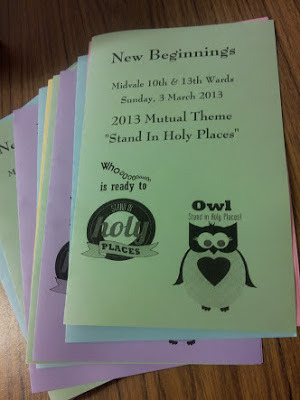 I used my Cricut machine to cut out the Owl Stand In Holy Places and they turned out really good I think! Fit on the bag perfectly and they were easy to make. I'm glad all that I made on the Cricut turned out so well. What have you made with your Cricut lately?